To create a new job you just need to add a new .js file to src/jobs directory. The filename of a job is used to schedule, queue and process a job throughout the system. So please use common sense when naming them. // Name of widget to update. Assigned on dashboard creation. 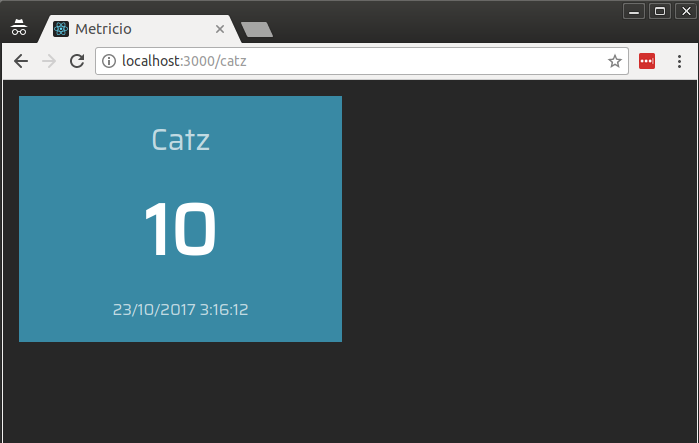 When you next start the server, the above job will run every minute and try and update the MyCatWidget widget. Each widget has a specific payload. The example above is a job to be consumed by the number widget. So only has a value data entry. It’s important to note that if you are using a custom widget then the whole data object is passed to the widgets state.